With the recent rise in technology, we can witness digitalization in every single field. Whether it is schools, hospitals, or restaurants; different types of tools, techniques, and software are used to make the overall tasks and operations easy and compact. 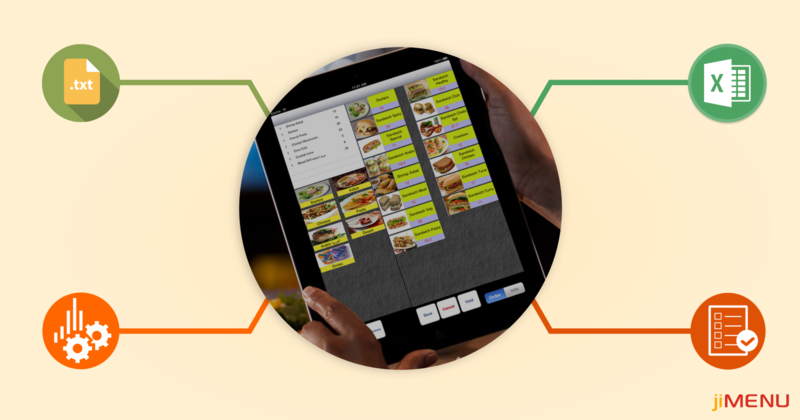 Connecting to a restaurant menu software not only increase your sales but it has revolutionized the entire restaurant industry too. However, most of the restaurants are switching from static to digital menus, there are a number of common mistakes that are often made when deploying them for the first time. ADDING A LOT OF ANIMATIONS: Designing a static image for the menu board is the easiest task for a graphic designer. Using a single static image can only lead to false results and proves less effective than a regular lightbox menu board. To avoid such situation, you must add some animations to showcase your menu items which will significantly increase audience interest. DISAPPEARING MENUS: Due to excessive use of animation in the digital menu board, it will temporarily disappear. This leads to confusion among the customers while ordering different stuff. Whether it is a small business or a big budget company, every enterprise faces trouble escaping this fatal practice. Your menu needs to appear on the screen at all times, no matter how much animation you want to incorporate. USING ONLY TEXT IN MENU BOARD: Most of the businesses have a myth that using simple text on digital menu board is enough, especially the small-scale enterprises. Nowadays, the audience is exposed to multimedia content and when the digital signage only displays text, it will not be able to attract the audience as it seems. If you don’t want to add any picture to the display, then you can add some animations so that in some way, it can attract your audience’s eyes. OVERCROWDING DIGITAL MENU BOARD: Mostly the restaurant owners overfill the screen in order to save some startup cost. This may sound little weird but it can also result in a completely ineffective menu board. The best advice in such a condition is not having more than 24 to 36 items to be displayed on a single screen. UNABLE TO DO TIMELY CHANGES: One of the major issues which most of the restaurant owners face is not making changes in the digital menu time to time. By giving a fresh look to your digital menu on a frequent basis, you can enhance your profits as customers don’t like to watch the same thing again and again. In order to tackle this issue, all you need is to make little changes in the images, text, and weekly specials regularly. By updating the look of your digital menu, you add freshness to your services. For best results, prefer to so alterations in every 3 to 6 months. Concluding up, it is easier to make mistakes and it can take place anytime. These are minor but have a big impact on the overall reputation of the business. Yes, there are a number of advantages of digital menus but before going digitalized, do consider the above-mentioned issues to avail best results.